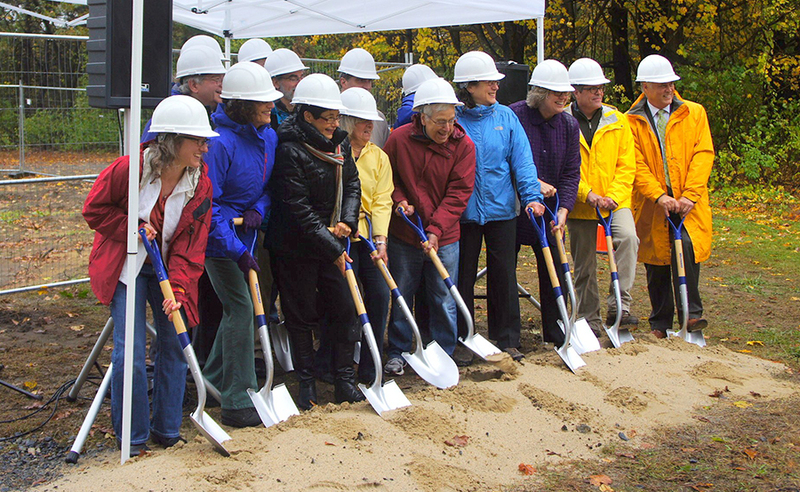 Framingham, Ma – October 23, 2014 – The town of Framingham and architects Finegold Alexander + Associates Inc are proud to announce the groundbreaking of the new Christa McAuliffe branch library. This branch library is the second busiest branch public library in the state, and will encompass 17,000-square-feet at 746 Water Street. The building will be an L-shaped, one-story structure adjacent to the Nobscot Shopping Center and will triple the size of the current branch on Nicholas Road it will replace. 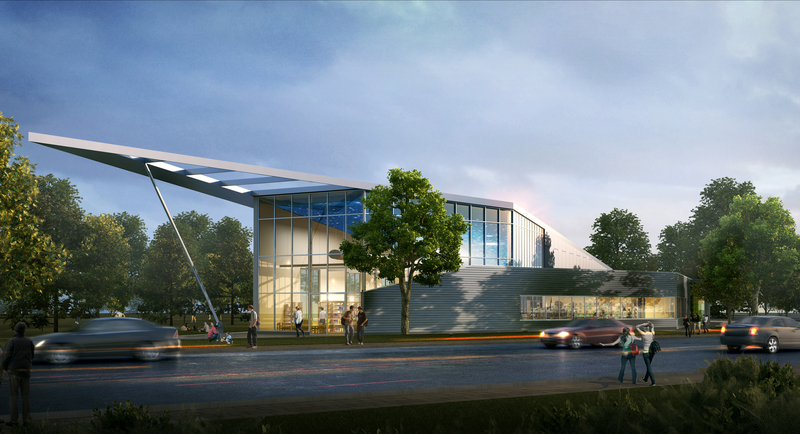 “Inspired by the spirit of Christa McAuliffe, the design creates a soaring roof in the shape of a wing, that lifts over the main reading areas for adult and children,” said Tony Hsiao, Principal and Director of Design at Finegold Alexander + Associates Inc. “The library design will adapt to new trends in library usage, and has a large open plan that is flexible to accommodate future library space needs.” The new Christa McAuliffe Branch Library is located at the high point of its natural wooded site and embraces a state-of-the art sustainable green approach with a LEED Certification Target.